I may just be a grumpy old man, but it does seem to me that many aspects of popular culture are becoming more, well, disappointing. Or perhaps it’s just that our expectations are constantly being ramped up by the media, in which case my problem may be more with the reviewers than with what they’re reviewing. I’ll try to make my case through two genres: Detective Fiction, and Star Trek films. I’ve been a lover of Detective Fiction for over 40 years, and I use the term ‘detective’ advisedly, to separate this sub-genre from the much wider (and currently more critically acceptable) genre of ‘crime’ fiction. For me, Detective Fiction is about the solving of puzzles (crimes) within a dramatic framework, while Crime Fiction is more concerned with psychological dissection. The locus classicus would be Ruth Rendell’s splitting of her authorial personality in two, with the procedural Inspector Wexford novels under her own name, while her series of psychological studies, which are much more about why a crime was committed than how, were initially published under the pen name of Barbara Vine. In the last month I’ve read two new examples of Detective Fiction which, for wider reasons, have been very high profile. First was the third novel in the Cormoran Strike series, ‘Career of Evil’, published under the pen name Robert Galbraith but written, of course, by the incredibly prolific J K Rowling. Rather to my surprise, I had really enjoyed the first two Galbraith novels. There was something pleasingly old fashioned about them, and the writing seemed much more accomplished than in the Harry Potter series, where I’ve always found the prose rather leaden. So I approached this third outing with real anticipation, and was seriously underwhelmed. It was far, far too long and repetitive (admittedly a common Rowling failing), but in trying to take us into the mind of a serial killer, obsessed with dismembering young women, it was following a wearily well-trodden path (in books, movies and TV dramas), and a distasteful one at that. Worst of all, for much of its length, it was simply dull. By now the whole literary/reading world is familiar with the Rowling/Galbraith phenomenon. My next read has, however, has excited much more media interest and anticipation than did the third volume of a well-established series, because ‘The Monogram Murders’ is the first new novel ever to be formally approved by Agatha Christie’s estate, and therefore the first ‘proper’ Hercule Poirot story since Christie’s death. Now, I was looking forward to this for two reasons: first, I’d greatly enjoyed the two similarly ‘authorised’ Sherlock Holmes novels by Anthony Horowitz, and second, the author chosen to resurrect Poirot was Sophie Hannah, a critically acclaimed (and also prolific) writer of Crime Fiction, whom I’d once seen talking very interestingly about her work at the Nairn Book and Arts Festival. This was a much bigger disappointment than the Galbraith. For anyone at all familiar with Poirot’s character, there were wrong notes from the outset, but the premise was sufficiently intriguing to keep me reading. But the last third of the book was a remarkably tedious slog through increasingly convoluted explanations of a literally incredible plot. Some of Christie’s original Poirot novels, in their entirety, are shorter than the many pages it took Hannah to unravel this farrago. Maybe that’s what happens when a ‘crime’ writer turns to classic ‘detective’fiction. What these two books have in common, apart from excessive length, is the generally favourable reception they’ve been given in the ‘serious’ press: Guardian, Independent, Telegraph, etc. In the mainstream media only the (also incredibly prolific) Simon Brett, writing in the Daily Express of all places, tells it as it is about this underwhelming Poirot resurrection. Instead, one has to look to blog and fandom sites to find really thoughtful and accurate analyses of the failings in these books. Now we’re regularly treated to dire warnings and plangent laments about the ‘death’ of professional criticism, as cash-strapped newspapers shed their paid reviewers, and blogging allows anyone to have their say online. But I’m becoming increasingly aware of a kind of trahison des clercs where it’s harder and harder, at least in the world of books, to find genuinely analytical and honest professional reviews, while the best bloggers, as in the example above, have a depth of knowledge, and the space to display it, that’s increasingly at a premium in the mainstream media. So, what about Star Trek? I’m not sure if I really count as a Trekkie—I’ve never yet attended a Trekkie convention, in costume or otherwise—but it has been part of my cultural mainstream since the very first episode aired on the BBC in the Dr Who teatime slot when I was 14 years old. I’ve not followed every spin-off TV series (‘Enterprise’ was a step too far), but I have seen all the films, most of them more than once. Now I know that the critical consensus is that, with a few exceptions (‘The Wrath of Khan’, ‘The Voyage Home’, ‘First Contact’) the movies featuring the original two Enterprise crews were fairly ropey, and I’m prepared to go along with that verdict, and just enjoy them as guilty and nostalgic pleasures. But since JJ Abrams rebooted the franchise in 2009’s ‘Star Trek’ it’s achieved a blockbuster prominence that the early films never reached. I still think that that first, daring, reinvention of the origins of the crew of the Enterprise was a clever, inventive, and thoroughly enjoyable slice of space opera. I was much less impressed by its successor ‘Star Trek: Into Darkness’, perhaps because I made the mistake of watching it in a very distracting 3D, but also because the last 15 minutes of the film were really ridiculous, totally unnecessary in terms of a satisfying story arc, and changed Spock’s character in ways that just didn’t seem right. So I didn’t bother to catch the latest episode, ‘Star Trek Beyond’ (no colon, this time) while it was in cinemas. But it got such generally good reviews, with a broad consensus that this was a ‘return to form’ and to those elements that made Star Trek so memorable—namely the interaction between the main characters—that I rented the DVD as our Christmas Day movie. Well, the first two thirds delivered, looking dazzlingly beautiful and with some sharply written dialogue from Simon Pegg, but the last third was utterly preposterous and dumb to a degree that, it seems to me, dishonours Gene Roddenberry’s memory. Even if, over the years, the Star Trek universe has sometimes played fast and loose with scientific fact and theory, it’s nonetheless tended to retain a certain plausibility, or at least consistency, within its own terms of reference. But the vast space station ‘Yorktown’, a visual fantasy only made possible by state of the art digital imaging, would, if it was to have any possible reality in the Star Trek world, have required an application of technology and resources that would have been centuries ahead of the oddly retro/future world of the rest of the film (remember, we’re in the timeframe of the original, William Shatner, TV series, not even of ‘The Next Generation’ series, set 70 years later). And the ‘action’ that then occurs within this impossible world is simply stupidly over the top to the point where I ceased to care about what happened, and just wanted the movie to end. So, is popular culture really getting dumber as it gets more hyped? Did things used to be better, or did we at least have, in the past, a sharper critical awareness and a better sense of proportion? Evidence that this may be the case came, also on Christmas Day, in the unlikely form of ‘The Muppet Christmas Carol’. Never a Muppet fan, I’d avoided this film ever since it came out in 1992, assuming it would be silly, sentimental, and tiresome. 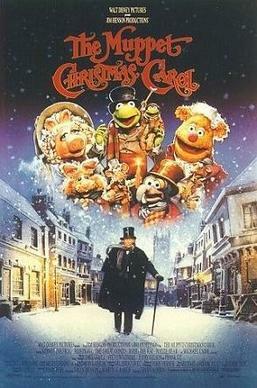 I’m happy to admit I was entirely wrong: it is a modest masterpiece, telling Dickens’s original story with great fidelity and visual flair, with a nicely understated performance from Michael Caine as Scrooge, and setting this all within the madcap world of the Muppets in a way that is very witty and oddly touching. Who would have thought that presenting Tiny Tim as a small green frog would bring a tear to the eye? Yes, maybe popular culture really was better then…. Are you a Wittertainee? I mean, of course, do you listen to Kermode and Mayo’s Film Review podcast from BBC 5 Live? I’ve been a devotee of the Church of Wittertainment (as their fans are known) for many years (hello to Jason Isaacs, by the way), long enough to remember way back when they first launched the renowned Wittertainment Code of Conduct for cinemas. That crack about Japan came back to me during our recent, and first, holiday in Lisbon, where we experienced not one, but two disconcerting examples of audience behaviour, and were left wondering whether each was considered in any way normal in Portugal, and , whether, therefore, we would have been wrong to make a fuss. In one case we did, in the other we didn’t. Was either decision correct? What is the etiquette when forming part of a foreign audience? When in Japan, should you take your shoes off (regardless of any resulting pungent odour)? This all started a couple of months ago when, having booked our flights and hotel for Lisbon, I did what I always do on these occasions and searched for what concerts might be available while we were there. To my great excitement I found that the most exciting young pianist of the moment, Igor Levit, was going to make his Portuguese debut during our stay. Not only that, but he was going to be playing two of the works from his latest recording which had just won The Gramophone magazine’s Record of the Year Award. And to put the icing on the cake, the concert was in the Fundação Gulbenkian, just a short walk from our hotel. As you can imagine, by the time we actually got to the concert hall, my anticipation was intense. The Gulbenkian concert hall is a lovely wood panelled space, seating, I guess, about 1200, and it was almost full, which was impressive for the demandingly intellectual programme on offer. We settled down to enjoy the immense hour-long journey that is Beethoven’s Diabelli Variations, and quickly appreciated that the hall’s acoustic was perfect for a solo piano. Unfortunately, it was also perfect for making clearly audible something much less uplifting: the utter barrage of coughing that broke out as soon as Levit’s fingers touched the keys, and which then persisted throughout the whole work. It was rare to get more than ten seconds of cough-free music. And it wasn’t just a few very sick individuals. Coughs resounded from every part of the auditorium. Several would go off at once. It was like trying to listen to a concert in the middle of a zoo, or the Gunfight at OK Corral (except that only lasted a few seconds…). We really felt for Igor Levit. How he maintained his concentration, playing this Everest of the piano repertoire from memory, was a marvel to behold. As we discussed at the interval, if nothing else such behaviour (no one ever seemed to try to stifle their cough) seemed incredibly insulting to such a great artist. Yet at the interval the audience had given him a standing ovation! Perhaps that was just all the non-coughers acknowledging the scale of his achievement…. After the interval things did get better, partly because Frederick Rzewski’s equally monumental ‘The People United Will Never Be Defeated’ is a more torrential, acoustically overwhelming work than the Beethoven, and partly because some of the worst coughers seemed to have chosen to leave at the interval rather than expose themselves to a late 20th century masterpiece. But it was still much noisier than the average Moscow winter audience on old Soviet Radio relays from the 60s. I had thought of saying something to a member of staff at the interval, but in the end got cold feet—we were outsiders, after all. Perhaps this was normal, in Lisbon, in December. Two evenings later we were at a free recital in the ornate Palàcio Foz in the centre of Lisbon, performed by the Trio Cremeloque, and taking a fascinatingly different approach to familiar Piano Trios of Beethoven and Haydn, with the usual violin and cello replaced by an oboe and bassoon. It was one of a regular series of free concerts, and the hall was packed. And even as the musicians started playing, several in the audience (all Portuguese) were busily photographing them on their phones. The middle aged man next to Judith even starting videoing the concert. This was too much. Judith gave him a sharp slap on the arm and he desisted—at least until the encore when the camera was out again, his raised arm blocking the view of those around him. Yet in between he had seemed intensely focused on the music. 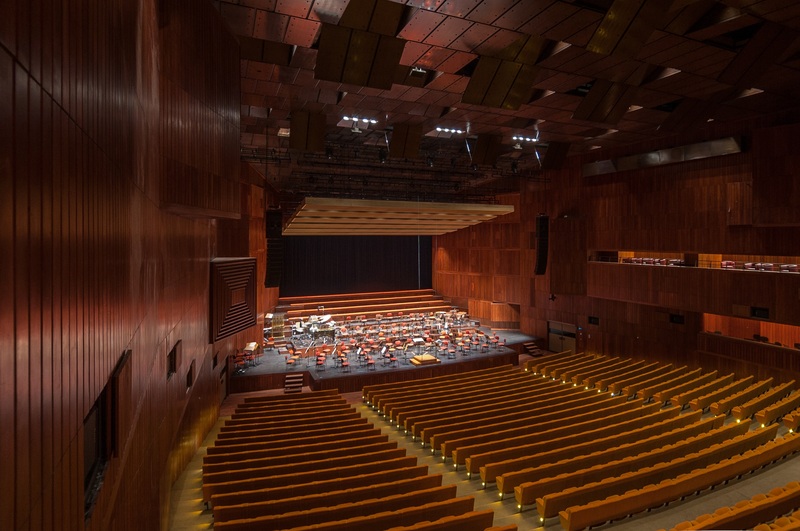 Once again the very fine musicians were given a standing ovation—which raised another unanswered question—are standing ovations the norm in Lisbon, rather than the very rare exception that they are in douce Edinburgh? Lisboans, we found, are immensely welcoming, courteous and helpful people, and it was a delight to spend time among them. Indeed it is their very reticence and laid back character—certainly when compared with their counterparts in Madrid!—that made these two experiences seem, by contrast, so very odd. But maybe they would find the reverential behaviour of the average British classical music audience oddly cold and uninvolved. A mystery to solve—as if we needed an excuse to return to the delights of Lisbon! Mind you, sometimes you can really get it wrong. Many years ago we went to a choral concert in Italy. We arrived, we thought, well before the advertised start time, only to find the Choir already on stage, singing away lustily. But the Italian audience was behaving atrociously: chatting loudly, moving about, even eating in some cases. We were stunned. Surely even Italians, we thought, couldn’t be this badly behaved as an audience. But then, after ten minutes or so, the choir all filed off stage. It turned out they were just doing their warm up. A few minutes later they returned in more formal manner, and their performance was then listened to in complete and attentive silence. And no one, as far as I could tell, took their shoes off. Aimez Vous Brahms?…or Bach?…or Beethoven?